Dr. David Rogers graduated the medical school from University Of South Florida College Of Medicine and completed his residency program at Medical College of Georgia. 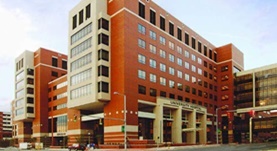 He also completed two fellowships: one at St. Jude Children’s Research Hospital and one at University Of Tennessee. Dr. Rogers is both specialized and board certified in Oncology. He is affiliated with University of Alabama Hospital and during his career, he has also contributed to three publications of medical interest. Dr. David Rogers has contributed to 3 publications. The pace of plant community change is accelerating in remnant prairies. Alstad, A. O.,Damschen, E. I.,Givnish, T. J.,Harrington, J. A.,Leach, M. K.,Rogers, D. A.,Waller, D. M.; Sci Adv. 1900 Jan 01. Risk Factors for Stricture Formation After Esophageal Atresia Repair. Nice, T.,Tuanama Diaz, B.,Shroyer, M.,Rogers, D.,Chen, M.,Martin, C.,Beierle, E.,Chaignaud, B.,Anderson, S.,Russell, R.; J Laparoendosc Adv Surg Tech A. 2016 Feb 20. Rogers, D. A.,Peterson, D. T.,Ponce, B. A.,White, M. L.,Porterfield, J. R.; Surg. Clin. North Am.. 2015 Jul 27.